Kumkum Bhagya- Abhi suspects King and Pragya's relationship is fake. Kumkum Bhagya is one of the most loving serials. 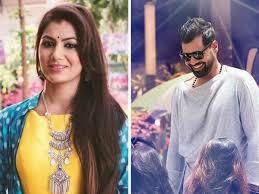 Kumkum Bhagya serial is recently attracting so many viewers as it is featuring many memorable moments and currently this show is at the very interesting stage. As we see that New Year is on its way, Abhi and Pragya both are coming closer. It seems like that they both might starts a new chapter of their life with a new year. They are going much more intrusting on these days. There is much more drama is going on in the serial Kumkum Bhagya. The serial Kumkum Bhagya is best for the viewers who love high-voltage drama. In tonight’s episode of Kumkum Bhagya- Abhi suspects King and Pragya’s relationship is fake. Abhi runs into King has no idea about his past with Pragya. He suspects that they both are not together. Kumkum Bhagya 7th December 2018 written episode update begins with Pragya going into King’s room and she was trying to tell him the reality about her past. However, King changes the subject and Pragya is unable to discuss the same. She gets panic and thinks that if she did not tell him the truth then maybe he get so many problems in their life. Tanu is very frustrated with the whole situation as she does not know if Abhi has gone to meet Pragya and if he plans to reconcile with her. She tells Aaliya about it, who tells her to think things through and let things take its course without meddling. Abhi is already on his way to Pragya’s place. He is already angry at her because she hides about the truth Kiara. As he thinks, about Kiara, he imagines how his conversation with Pragya to move in back with him along with Kiara. However, Pragya tells him that while he can look at the memory, she can not return back to the same space, the same house and the same relationship. Meanwhile, Tanu is on her way to look for Abhi who, as she suspected, is on his way to meet. Upcoming of Kumkum Bahgya 8th December 2018 Written episode update: Abhi asks Kiara if she knows why she wants to call him dad and why he wants to call her daughter as he is her dad.